Most people find that as they age, things don’t look like they used to. While wrinkles and sagging body parts may be the first things to come to mind, what about your teeth? 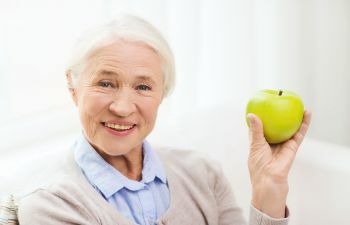 The teeth go through a lot throughout their lifetime, and while millions of Americans keep their natural teeth they find that their teeth have a few imperfections the older they get. Perhaps they have been chipped by a bad habit such as biting fingernails or opening containers with teeth, perhaps they were chipped a few years back during a sporting collision, or perhaps there is a gap between the front teeth. Whatever small flaw or imperfection there may be, dental bonding is a fast and relatively inexpensive means to repair it. At Gold Hill Dentistry, we offer dental bonding for tooth repair. Dental bonding is a cosmetic dental procedure that is done through the application of a tooth colored composite material, called resin. This resin can be color matched to the natural color (or enhanced color) of the surrounding teeth so that it blends in perfectly. A relatively painless procedure, it is done by etching the surface of the tooth so that the resin will form a permanent bond. The resin is applied, molded and shaped, hardened, and then polished to look like a natural tooth in the mouth. The entire procedure takes between 30 minutes to one hour to complete, and it is widely selected by parents whose children have had cosmetic damage to a tooth. If you are in the Fort Mill or surrounding area, please contact Gold Hill Dentistry to schedule an appointment. We can confidently provide a solution to restore the beauty to your smile. Our practice is currently accepting new patients, and we welcome the opportunity to serve you.